So I am not entirely sure why this run is overlooked, or maybe it was just my friends and I who were overlooking it. But this run is a gem. 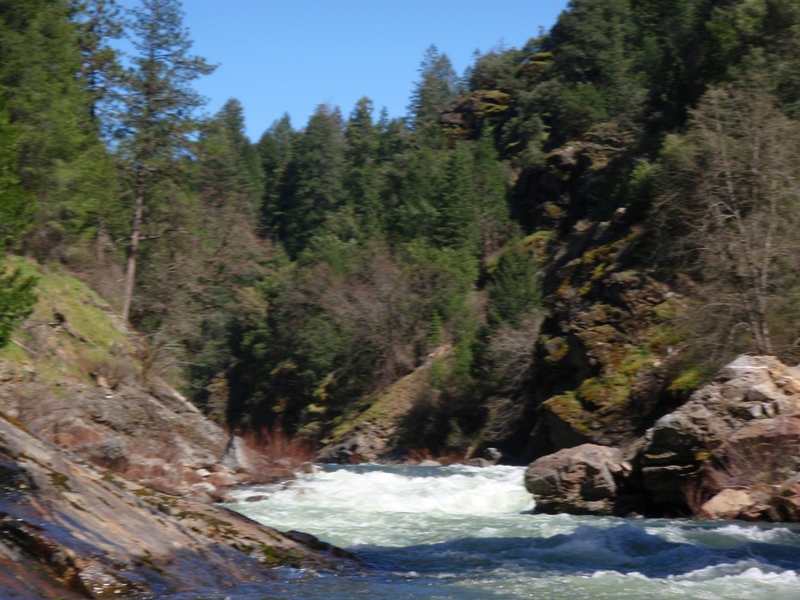 My only time down thus far (as of 5-20-07) was at a meager flow of 575 cfs. We put in up at Indian Falls and ran Kyburz at the same time. 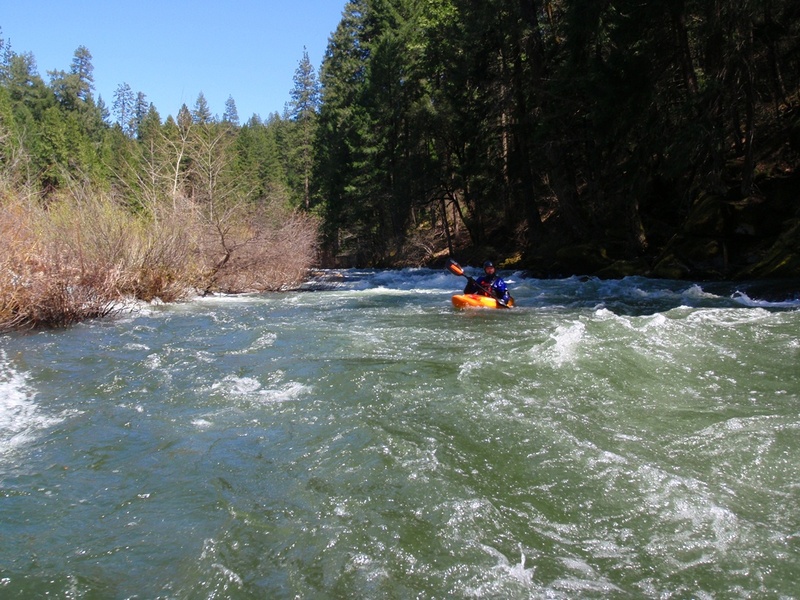 Kyburz at that flow was boney and not all that fun, we decided to push on downstream for this run and all of us were glad we did. The first mile starts off brushy and bumpy over shallow shoals. But you enter the first rapid and all that disappears. The river first opens up and gives beautiful alpine scenery, and then closes in and gives you an amazing gorge to look at. The only thing that stinks about this run is the fact it is only 3 miles. I would rather this be the length of Kyburz and vice versa. I am 100% sure that I wont do Kyburz again without adding this run to the bottom of it. For the boater who is looking for runs that are suited for an aspiring class IV boater, this is a great one for you. 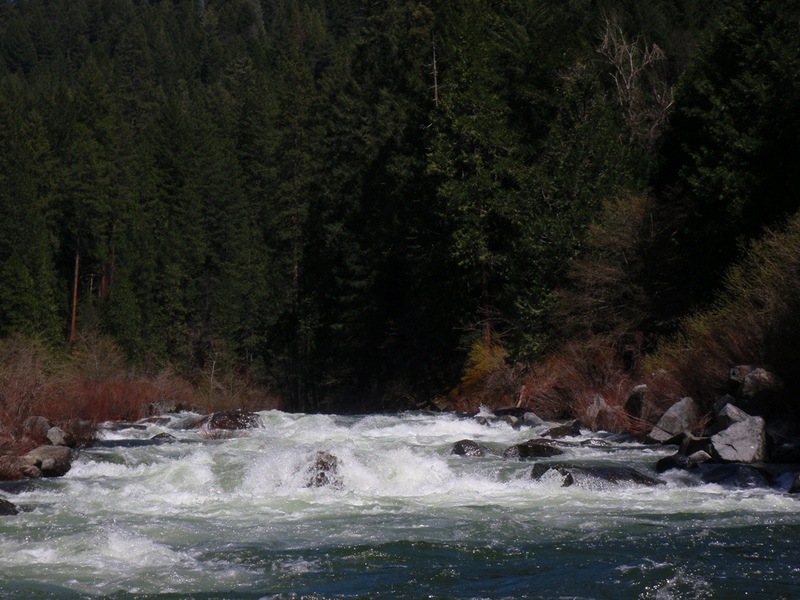 The two hardest rapids are reminiscent of Slaughters Sluice or Staircase on the North American. The rest are easier. Hopefully that wont deter away the solid class IV boater or even the class V boater looking for a pleasant day, in our group was a class V+ boater, another class V boater and they both were amazed at how much fun and how nice it was in there, we all agreed, a better stretch than Kyburz. 2011 Update: Finally after 5 or 6 years, I have gotten back on this section. I have done Kyburz many times since this write-up was first written, but for whatever reason I never continued on down. 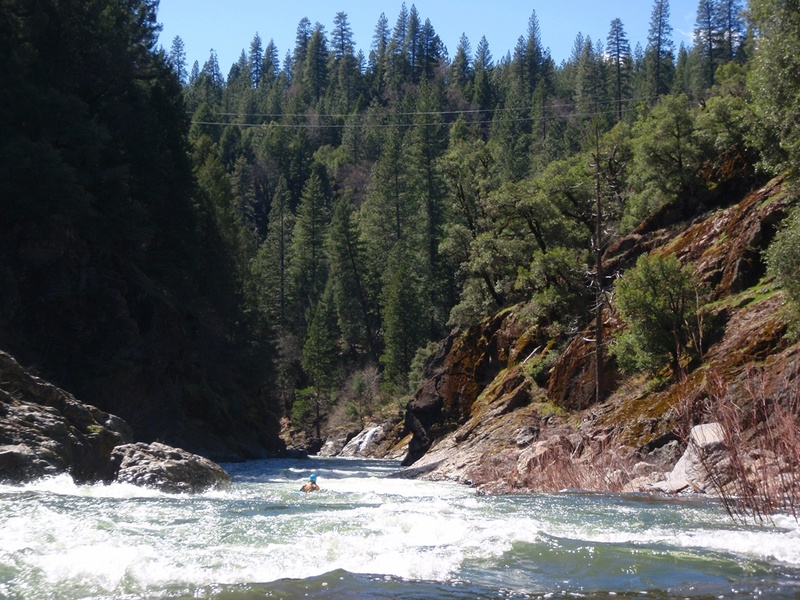 However, this weekend we got in there at 1,300 cfs and I again think this section of river is great. Unlike Kyburz, you quickly pull away from the highway for a feeling of solitude and the scenery accompanies the feeling. The rapids were a bit easier than I remember, but I think III-IV is fair. It is too bad the take-out road is so rugged, otherwise perhaps I would have done it again 2 days later when we went back to Kyburz... but no. Maybe again in 5 years. 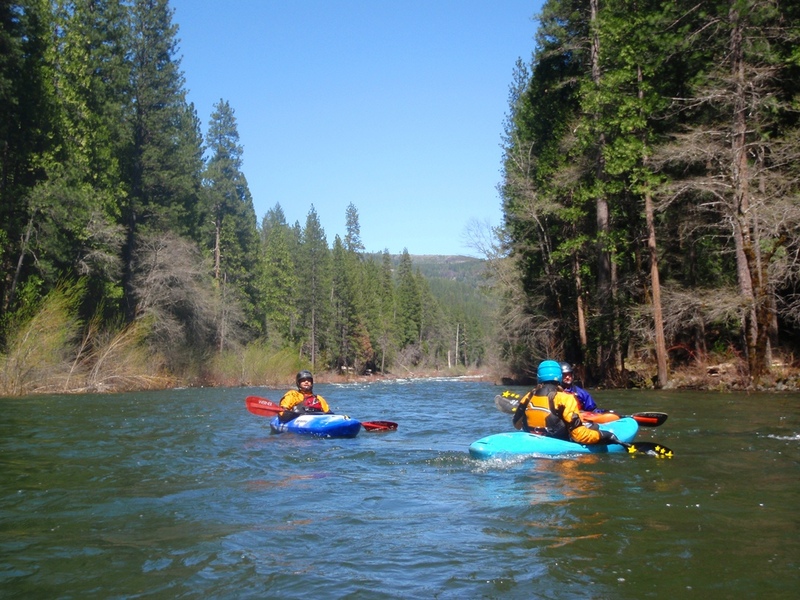 Brushy and shallow rapids are the name of the game for the first mile or so. Just when the brush is the worst, it disappears and the fun starts. First Long One (III- to IV-). 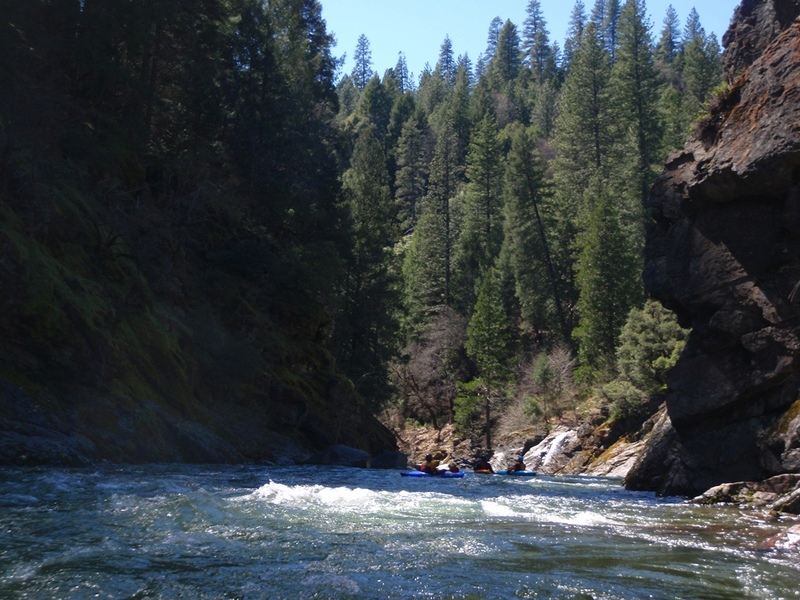 This is the first long rapid which we took on the right side all the way down with a short venture to the middle. Easy enough to read and run, beware as water came up a large pour will appear in the middle of the rapid, but going right of it should still be fine. There are several fun class III- in this stretch, I just don’t remember details. Second Long One (IV). 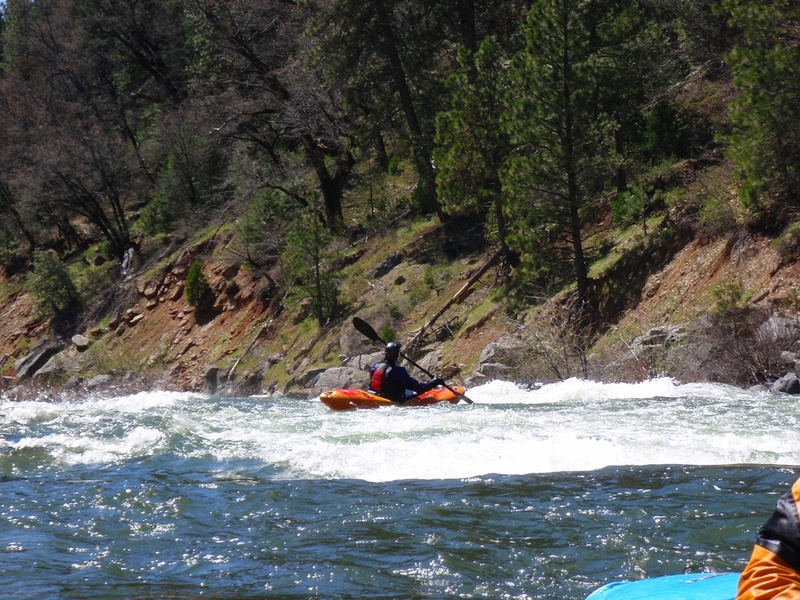 The hardest rapid on the run was long and had several maneuvers to make. 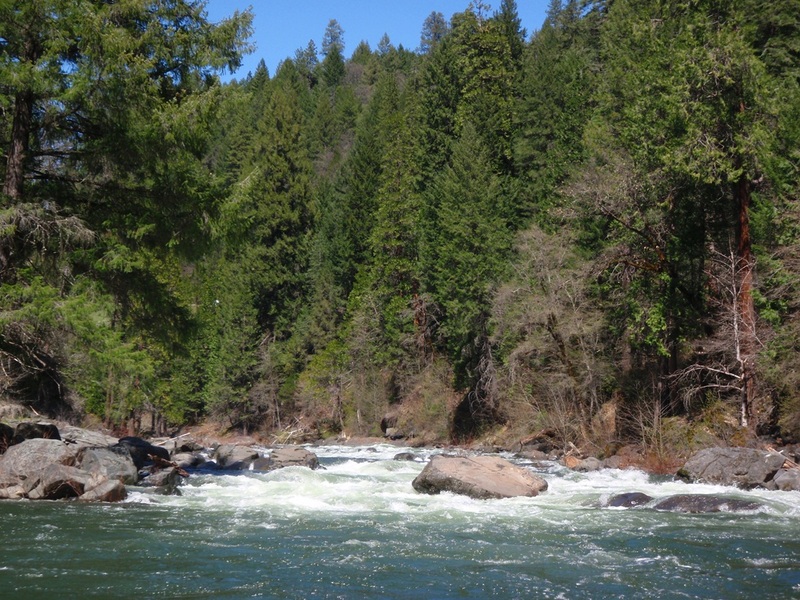 There was a midstream eddy which allowed you to boat scout from the middle of the rapid the end of the rapid. At low flows it was fun to go right into a hole, around a large rock and over a pour-over. As water comes up we all agreed this might be wisest to go left on to avoid what will become big holes. Update: Ha, at high water we boated scouted with some basic knowledge down the right. It was a lot slower and easy to pick your way around than I remembered and the bottom holes all got less meaty. Shortly below here the river begins to drop into the gorge, the gradient becomes steeper and the rapids pickup in frequency. There are at least 4 or 5 fun class III- to III from here to take out. Rock at the End (III-). A nice playhole at top is followed by a sweeping turn where the water slams into a rock. You can go left but it ends up close and you squeeze by the rock, you can cut right across all the current and make it fine, just don’t mess up the cut across the current. Update: I think this one had a tree just below it at the highwater, we went down the right side and cut in front of a big rock with the tree overhanging it. Last but Not Least (III). A nice rapid best run down the left through some good size holes. Just afterwards you will see a waterfall coming in on the river right and on river left you will see the old support of a bridge. That is take-out. Take out: To get to the take out drive some 25 miles past Placerville East on 50. Just after the “Pacific House” on the left, turn left onto Peavine Ridge Road (if you have gotten to Bridal Veil Falls which is on the right, you have gone about a mile to far). This is a frontage road, immediately turn right onto it and it immediately turns to dirt. Follow this road down about a half mile to the end of it. This is take out. We got down the dirt road in an Outback and Highlander, but anything lower would have problems as there are 2 bad sections. 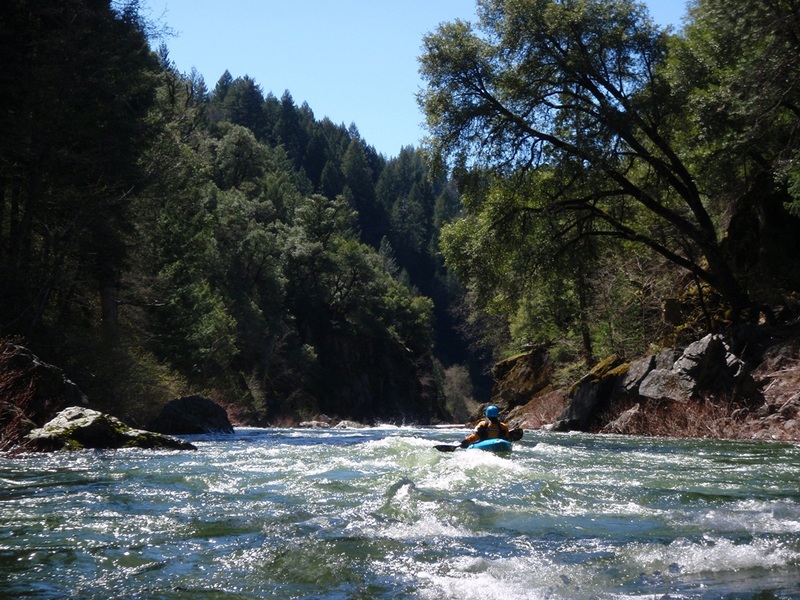 As I said before, don’t miss the take out while on the river as a class V+ stretch is down river. There are two things to look for from the water: a nice 15-20 foot waterfall from a creek on the right, and the foundation for a bridge on the left. Easy to walk the 100 yards to the water from where the car is parked to check it out. Put in: Drive 3 miles further up highway 50 to the historical site and turnout on the left. It is a massive turnout. It is the same as the takeout for Kyburz.